Osteoradionecrosis (ORN) is a condition in which bone tissue dies as a result of radiation exposure. Normally, bone tissue is able to regenerate. However, repeated exposure to radiation (such as with X-rays) results in the loss of the bone's regenerative capacity. 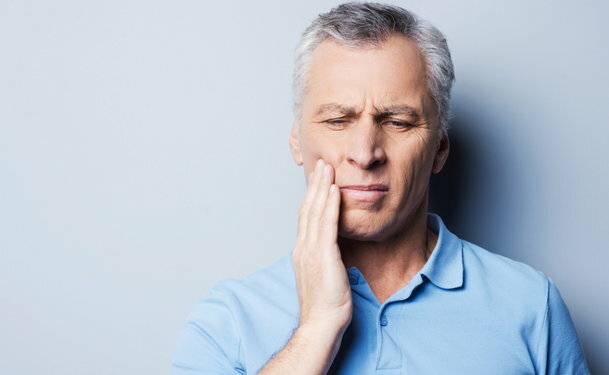 Osteoradionecrosis can occur spontaneously, but may be the result of an injury such as tooth extraction or oral surgery. This condition often occurs in the lower jawbone (mandible), a site which is exposed to radiation in cases of radiation therapy for head and neck cancers. The primary prerequisite for developing ORN is radiation exposure, which damages important structures present in the irradiated area. The inner lining of the blood vessels supplying the area become inflamed, a condition known as endarteritis. This prevents adequate blood flow to the tissues by increasing the chances of blood clot formation, an effect which may lead to poor wound healing. Exposure to radiation also results in the loss of cells called fibroblasts, which produce new connective tissue. In addition, the radiation induces inflammation of the soft tissues. ORN is characterized by the loss of blood vessels (hypovascularity), loss of cells (hypocellularity) and tissue hypoxia (lack of oxygen). Exposure to radiation does not mean that ORN will spontaneously develop. In most cases, tissue injury caused by tooth extraction, oral surgery or irritation from dentures cause the development of ORN. Rarely, ORN develops without an inciting factor, a condition known as spontaneous ORN. ORN is classified into three grades. In Grade I ORN, the loss of tissue causes the bone to be exposed. Grade II ORN means that the condition does not respond to hyperbaric oxygen therapy, while Grade III ORN is characterized by the development of a pathologic fracture. Persons who are frequently exposed to radiation are at risk for osteoradionecrosis. The amount of radiation exposure is measured in units called Gray (Gy), and studies have shown that ORN rarely occurs in persons who receive less than 60 Gy. The patient populations most risk for developing ORN are those who receive radiation therapy for cancers of the head and neck. Medical treatment for ORN is mainly supportive. Adequate nutritional support is important in order to improve the patient's wound-healing capacities. Debridement and daily saline irrigation of the affected area is also performed. Antibiotics can be given for cases of secondary infection. Hyperbaric oxygen therapy can be given to increase the amount of oxygen that the tissues receive. Increased oxygen stimulates the growth and proliferation of the fibroblasts, and also increases the production of collagen. Surgical treatment involves the removal of dead bone tissue in a procedure known as sequestrectomy. In mandibular ORN, reconstruction of the mandible is performed 10 weeks after resolution of the ORN. In Grade III ORN, restoration of the blood supply using microvascular reconstruction techniques is considered as the standard of care. Patients who are scheduled to receive radiation therapy for head and neck cancers should undergo a thorough dental examination prior to the procedure. Dental extractions should be scheduled three weeks before the radiation therapy to prevent tissue injury, which could induce the development of ORN. Patients should also be educated on the importance of proper dental hygiene.